‘Flamingo’ is the most widely cultivated of the Box Elder trees. Its gets its name from the unique and beautiful soft salmon-pink margins that turn to white, contrasting nicely with the green leaf centres and providing season long interest. 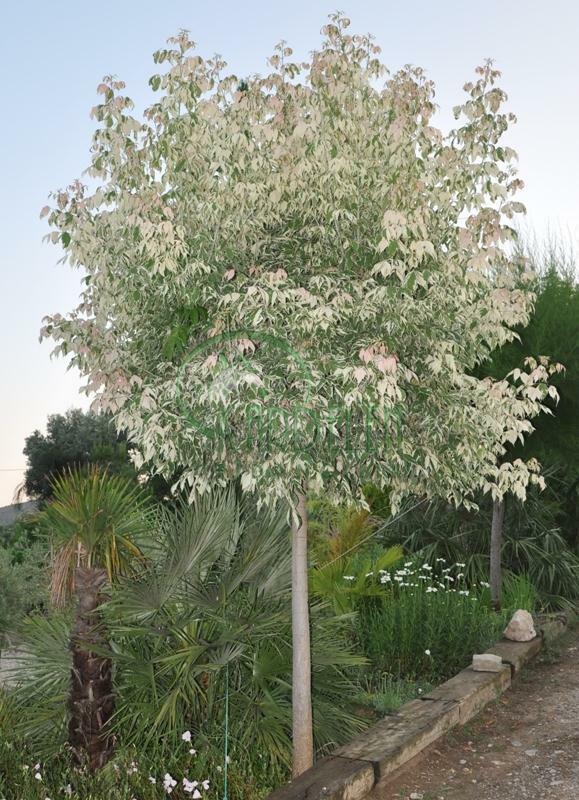 The box elder can reach 8-12m making it a medium size tree if left unchecked, however many like to pollard it each spring to keep to a desired size. These qualities make 'Flamingo' an excellent choice to add colour and structure to the back of garden borders or as a stand alone specimen tree. As far as planting sites go the Box Elder is a good candidate for heavy clay soils or even waterside locations, equally at home on drier and compacted soils.